Half Price Bookswill take any and all your new or old music CD’s DVD’s, Blu-Ray’s, Books, Video Games, and more at either trade, donation, or straight cash in Chicagoland. 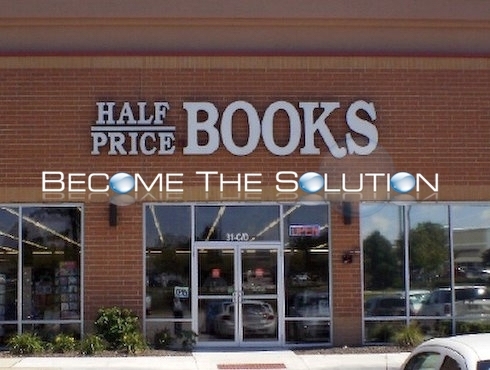 Because Half Price Books is a warehouse distributor, they backfill in other stores they have across the country – and will take everything you give them mentioned. If you have a large LOT of these types of media, bring it to Half Price Books. They will quickly organize what you have and place value and what they need or don’t. Don’t worry, they will take everything you give them. You will be made an offer afterword’s. You can accept the offer or just offer to donate what you brought. If you accept the offer, you will be printed a redeem buy slip which you will take to the cashier who will give you cash.